VPS stands for Virtual Private Server. In case of VPS users share their server maintenance cost and also resources but they get the good performance like dedicated server. There are mainly two operating systems in the web hosting market: Linux (open source) and windows (developed by Microsoft ). 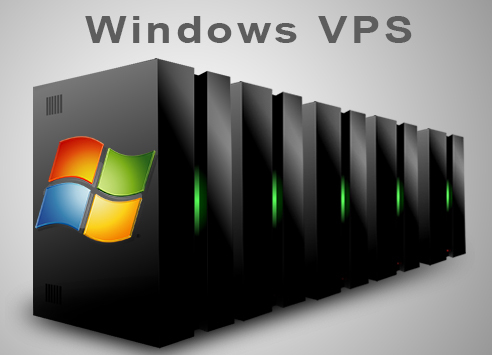 If any user chooses windows operating system for his VPS then that is consider as a windows VPS hosting. Windows VPS supports Windows applications like ASP, ASP.NET and Sharepoint web pages as well as Microsoft SQL and Access databases. 1. In case of Windows VPS hosting, Windows is developed by Microsoft that’s why it is more secure. 2. In case of Windows VPS hosting, hosting providers provide dedicated IP address for their customers. 3. Users can access their servers with their control panel. 4. Users can reboot their servers as they wish. 5. Linux VPS hosting can’t support any Microsoft’s products like, ASP, ASP.NET, Sharepoint etc. but Windows VPS can support ASP, ASP.NET, Sharepoint, Microsoft SQL, Access databases etc. There are many windows VPS hosting providers in the hosting market. Many hosting providers get server backup on a weekly basis or many hosting providers get that in monthly basis. You have to decide what kind of backup you want. Your hosting provider would be responsible for any kind of technical issue. You don’t have to spend your time to manage your server. You can manage your core business with full concentration. So, you have to make sure that your server is fully managed. You have to choose a hosting provider who provides 24/7 support by phone, live chat or email with experienced technical staff. If the support quality of your hosting provider is good then you don’t have to suffer too much hassle. In case of web hosting security is a very important point. You have to ensure that your server is fully secure.